Simparica is simply better when speed matters. It gives your dog superior protection against ticks and fleas with its fast speed of kill that lasts throughout the treatment period. It also protects against more external parasites than any other chew on the market. 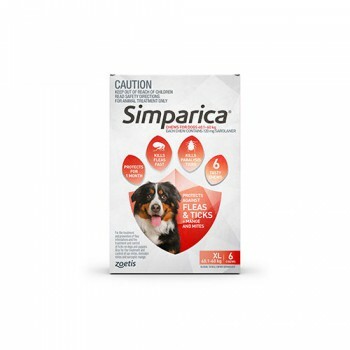 Simparica works fast and lasts, and has coverage for demodex mites, sarcoptic mange, and ear mites. Simple.